You can get help from us for a wide range of child health problems at the Childrens Clinic in Christchurch. A wide range of children come to see a paediatric specialist consultant. Also help their families, and adults who have ongoing health problems that have not yet been sorted out. Our focus is on getting you well again – solving your problem. Many of the questions that you want more information about can be found on the menu bar. You can ask us about any type of child health problem. Your skin prick tests for allergy, and blood test requests will be done as part of your specialist consultation. We can refer you on to other specialists if we are unable to help you ourselves. 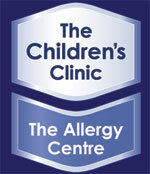 The purpose of the Childrens Clinic | Allergy Centre is to solve your health problems.